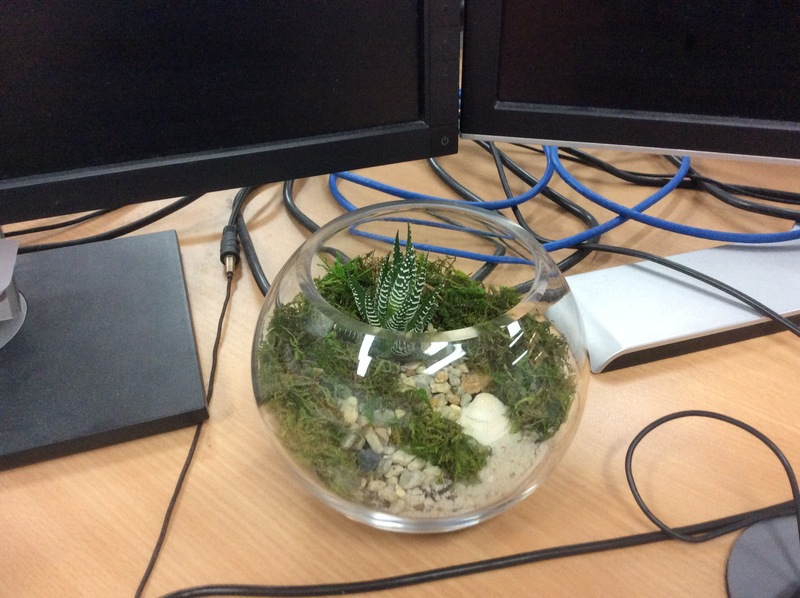 A work colleague recently brought in a miniature terrarium to liven up his desk. It occurred to me that it would be fun to sneak something really tiny in there to see how long before he’d notice. What would look at home here? A crab! 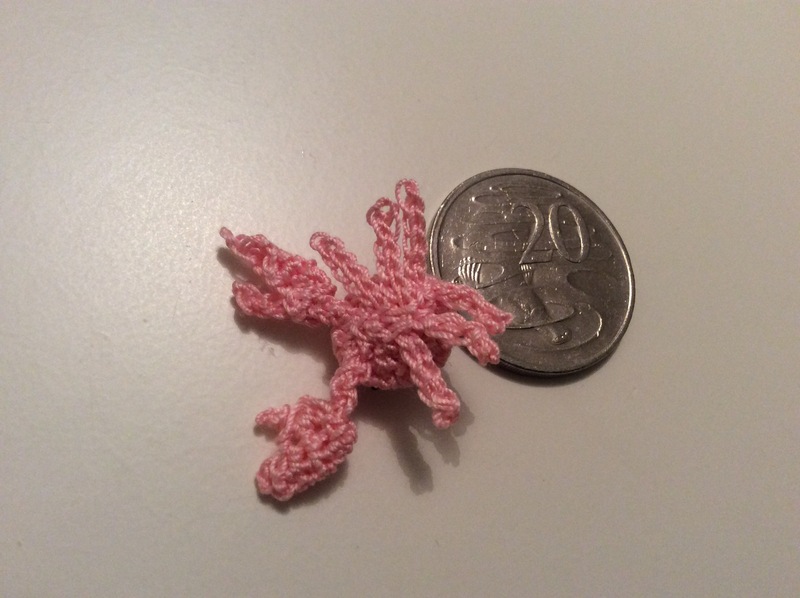 Could I make a tiny crab? 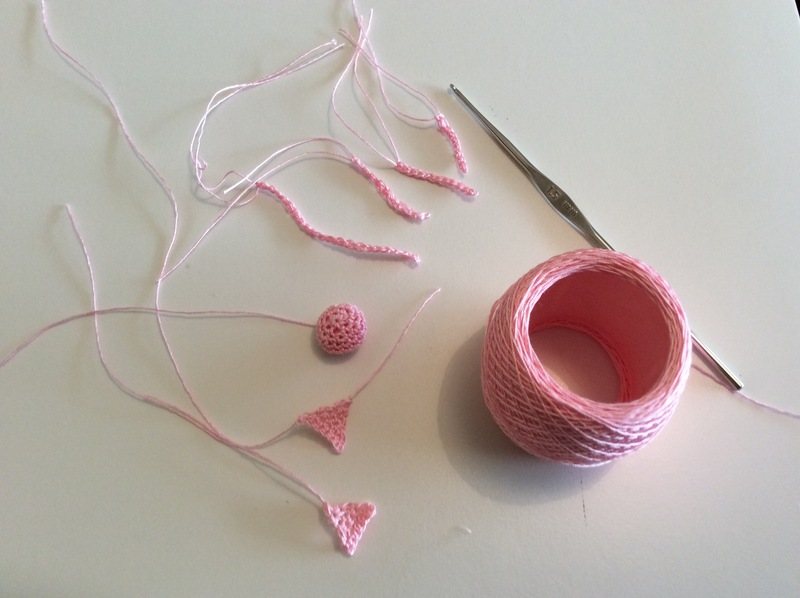 People do micro crochet all the time. 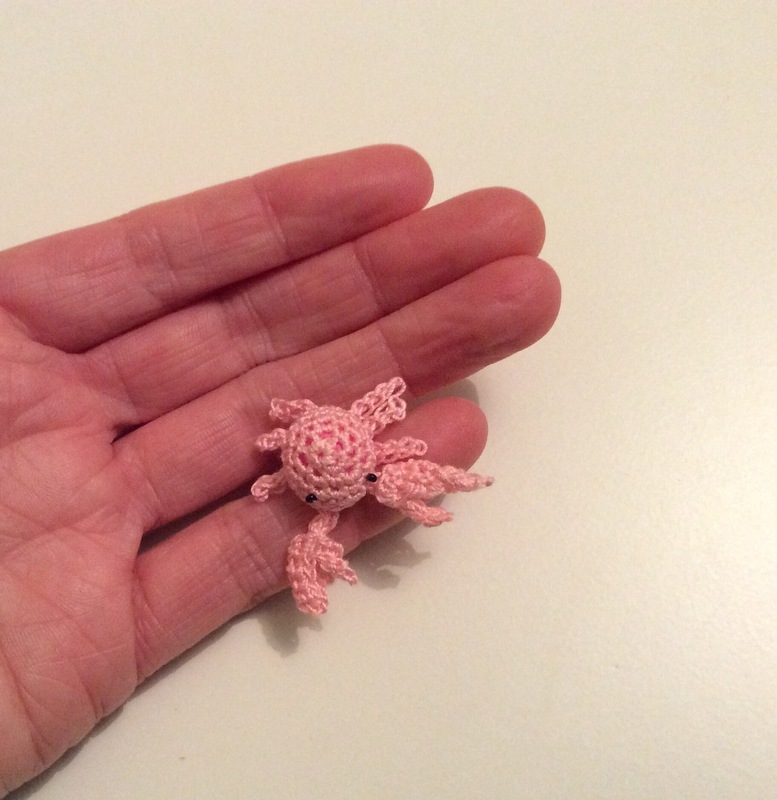 I’ve got some pink cotton, I’ve got a small hook. Let’s give it a go. It was really hard to find a free crab pattern that I liked. In the end I found this amazing lobster pattern. I thought, oh well, a lobster is just as good. Halfway through making the body I realised I could use the lobster legs and claws and just put them on a crab body. So I used this body pattern to get the shape right. 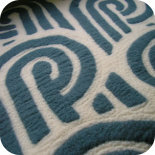 The pincers were fiddly because you have to sew them on separately. 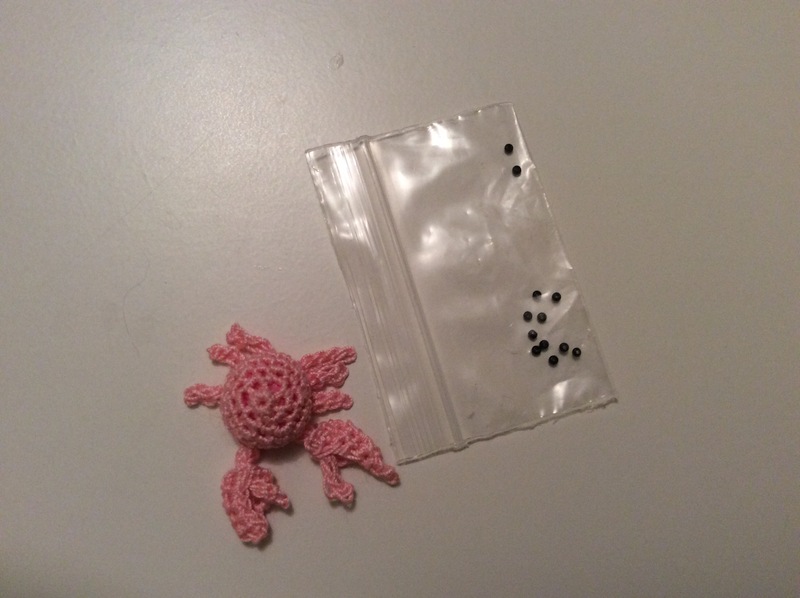 I found some tiny black beads in the stash – what luck! You never notice how big your fingers are until you try to work with something tiny. 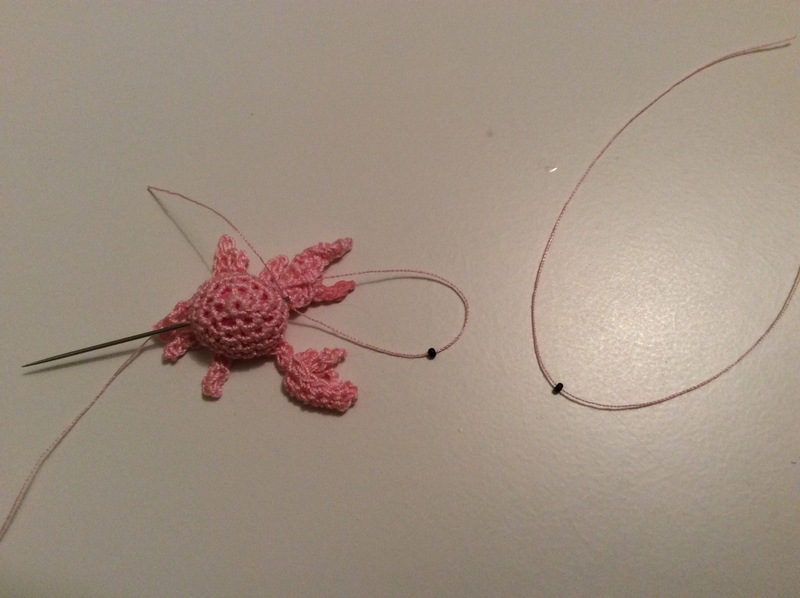 This entry was posted on 16/09/2016 by flicstar in Toys and tagged crab, crochet, micro crochet.